Not just a singer but a full band leader on par with artists such as James Brown and Prince, Toots has a number of tricks that he uses to energize his concerts. 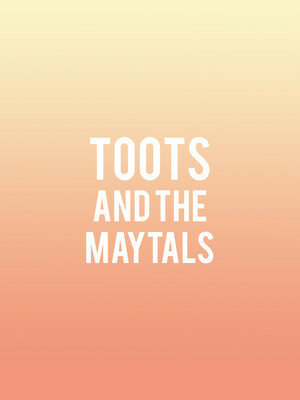 Why See Toots and the Maytals? Riding the waves of ska and rock steady, Toots and the Maytals secured a historical place at forefront of the evolution of reggae, much like Marley and his Wailers. Led by enigmatic crooner Toots Hibbert, the Grammy-winning Jamaican outfit defined the genre in their own unique way, fusing it with American R&B and Toots' soulful, lyrical vocals. 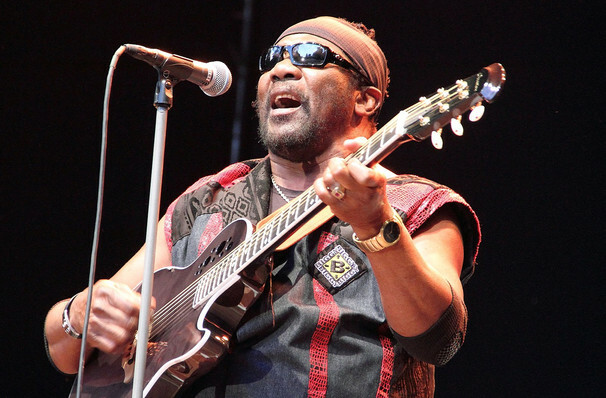 A Toots and the Maytals gig is a chance to see Reggae at its most authentic. Whilst their famed frontman may be well into his 70s, he's lost none of the charisma, energy and sense of onstage fun that's fuelled a prolific and widely celebrated career. A consummate showman, Toots regularly has audiences eating out of the palm of his hand with call-and-response moments that encourage everyone to sing at the top of their lungs, as well as elaborate instrumental breakdowns that mean they'll never hear the same song twice. Sound good to you? Share this page on social media and let your friends know about Toots and the Maytals at Corona Theatre. Please note: All prices are listed in US Dollars (USD). The term Corona Theatre and/or Toots and the Maytals as well as all associated graphics, logos, and/or other trademarks, tradenames or copyrights are the property of the Corona Theatre and/or Toots and the Maytals and are used herein for factual descriptive purposes only. We are in no way associated with or authorized by the Corona Theatre and/or Toots and the Maytals and neither that entity nor any of its affiliates have licensed or endorsed us to sell tickets, goods and or services in conjunction with their events.